The Web version of JMAG-Express, which can compute basic motor characteristics in 1 sec, has finally arrived! JMAG-Express Online is a parameter-based motor design support tool. It is possible to obtain in an instant the startup voltage constant, torque constant, inductance characteristics, current vs torque characteristics, rotation speed vs torque characteristics, iron loss / copper loss characteristics, etc. merely by inputting a geometry template, materials, windings, and drive conditions. Because JMAG-Express Online can be used with tablets and smartphones, you can design motors anytime, anywhere, on the go or at home. JMAG-Express Online can be used for free after creating an account. Thank you for using JMAG-Express Public. The move to “JMAG-Express Online” was made as of May 31, 2018. 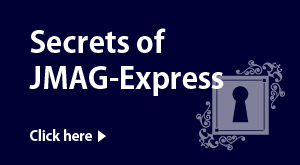 For those wanting to use “JMAG-Express Online”, we ask that you create an account. Rotation speed vs torque characteristics, iron loss / copper loss characteristics, etc. are displayed in graphs in an instant. Motor characteristics can be confirmed from tables of machine constants. Templates for PMSMs, induction machines and brush motors are available. A rough physical size can be decided simply by entering the minimum output expected of the motor. Geometry and drive conditions can also be narrowed down by entering more information. When the desired power 50(kW) is specified, the size and comparative loading needed to achieve it are calculated automatically.